John Jay Bove is a Principal in the Albany, New York, office of Jackson Lewis P.C. Mr. Bove is an accomplished attorney with a strong background in many areas of law, including corporate, construction, surety, banking, bankruptcy, transportation, environmental, real estate development, economic development and education law. 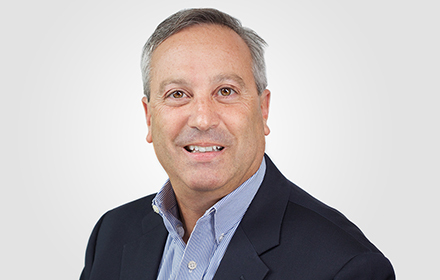 Mr. Bove has more than 25 years of experience representing clients in all phases of the construction industry and has worked on some of the largest projects in the Albany area on behalf of owners and general contractors. On issues relating to New York construction law, Mr. Bove has spoken before banks, bar associations and accounting firms. He also served as an instructor for the American Institute of Banking in connection with their Law & Banking Courses located at Siena College. Throughout his career, Mr. Bove has represented clients in the residential /commercial construction and development world, including subcontractors, materialmen, general contractors, owners and other construction professionals. He has also represented surety companies where he was involved in substantial litigation and arbitration cases and coordinated with sureties to complete projects and to enforce indemnity agreements. Presently, Mr. Bove focuses his representation on owners and developers of residential and commercial construction projects from inception (such as land use, zoning, and design) to project completion, including bank financing and closing. In addition, he has worked with clients to identify and analyze potential state and local economic development tools and benefits. In addition, Mr. Bove has more than 19 years of experience in the New York State Senate where he gained an excellent working knowledge of state and local government and the legislative process. He has demonstrated an ability to negotiate complex issues with the state legislature and the governor’s office. Prior to joining Jackson Lewis, Mr. Bove worked at Wilson Elser, an insurance coverage and defense litigation firm. Mr. Bove also served as counsel and chief of staff to Senators Owen H. Johnson (Chairman, Finance) and Simcha Felder (Chairman, Children and Family Services and Subcommittee on New York City Education). He has developed fundamental relationships, has expert knowledge of New York State government on the legislative and executive/agency level, and has an excellent working knowledge of municipal governments.